I just had the most awesome celebration at Yemen Observer where all the staff came and brought chocolate cake to celebrate the recognition I just received from CNN.com . My blog was among one of the ten must-read blogs from the Middle East, according to CNN.com's list due my active blogging and reporting about the protests and Yemen's Uprising. Though, I have to say that I dedicate this recognition to Yemen who without I'd have never had such recognition. I just love my country and I happen to love writing as well. I bet there are millions of youth like me who love Yemen so deep and for me it was my love for my country AND writing that made the difference. 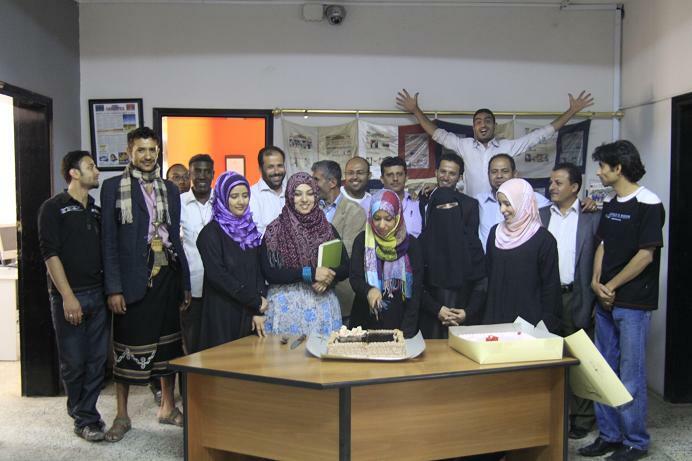 Thank you CNN.com, thank you Yemen Observer and thank you my beloved country; Yemen.